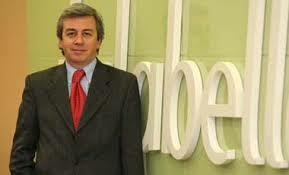 May 7 (Bloomberg) — SACI Falabella SA, Chile’s biggest retailer by market value, plans to invest $2 billion through 2012 to expand in Latin America, Chief Executive Officer Juan Benavides said. Falabella is seeking opportunities in Colombia while its “very big” investment plans for Peru will depend on how the global financial crisis evolves, Benavides said at a conference in Santiago today. “The plan that we have is tremendously aggressive, with a strong focus on taking advantage of opportunities in Colombia,” Benavides said. Falabella, which runs department stores, supermarkets and home-improvement outlets, reported a 22 percent drop in first-quarter profit last week as spending in Latin America slowed. The International Monetary Fund said economies in the region may recover before the world’s more developed countries.